Duane has been a member of Global Medical Response of Trinidad and Tobago (GMRTT) for just over 11 years. Duane is deployed in field operations as an Emergency Medical Technician; however, prior to this he has served in the Communications Department as a System Status Dispatcher. Duane is also currently enrolled in the company’s Paramedic certification program which aligns with his career path of advancing his skills as an EMS professional. Duane often serves as a mentor for new EMTs. Duane’s passion for helping others extends beyond the corridors of GMRTT. He is currently the Health Coordinator for the Bournes Road SDA Church. In addition to this, Duane conducts compression only CPR training at schools in his community, where he volunteers providing fitness training, thereby encouraging healthier lifestyles. Duane is known for lending his passion for fitness and health to his community. Therefore, it came as no surprise when Duane agreed to the request by the Petit Valley Football Club to provide his services as a physio trainer, assisting the team to the league championship. 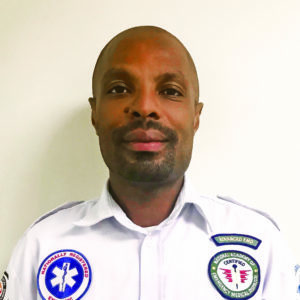 Duane wears his heart on his sleeve, and it is because of these attributes he has been nominated resoundingly by his peers to be the 2018 GMR Star of Life.